Hurricane wind can do some serious — even catastrophic — damage. Maximum sustained hurricane wind speeds must be at least 74 mph or greater. Anything less are not hurricane-force winds. It’s also important to remember that just because a hurricane is passing near you, you aren’t necessarily experiencing hurricane-force winds. Hurricane winds lessen in strength the further from the eye of the hurricane they are. Therefore, if a hurricane has 100 mph maximum sustained winds at its eye, you may feel only 35 to 50 mph winds 75 miles away from the eye… but there’s no exact science on how strong winds must be away from the eye. Hurricanes can cause severe and even devastating destruction to homes and businesses when the storms make landfall. But, in nature, they serve a very important role. 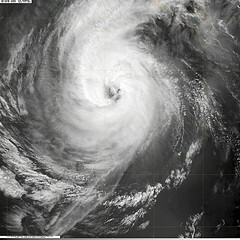 Hurricanes form over warm ocean waters when gathering thunderstorms become an area of low pressure and further strengthen. Hurricanes can travel at speeds of 20 miles per hour or greater and pack winds of over 155 mph. It’s easy to see why hurricanes wind up doing some pretty extreme damage. So, how exactly do hurricanes serve a good purpose when they tend to destroy our communities and many things within them? 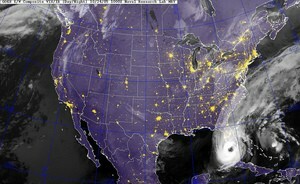 Hurricanes cool off areas underneath with rain, wind, and cloud cover. Rains from a hurricane can snap a drought very quickly. Hurricanes may destroy trees and mess up beaches, but in the process they encourage the growth of new trees and create new sand bars and other beach formations. Check out the types of hurricane planes that scientists conducting hurricane research use to find out data about those large storms churning out over the ocean. There’s no doubt about it. They fly dangerous missions for the safety of the nation! See why and how people fly into hurricanes. On a related note, see how pilots avoid lightning and thunderstorms when flying.